Khronos [Χρόνος] is a project dedicated to time, nature and the work of man. 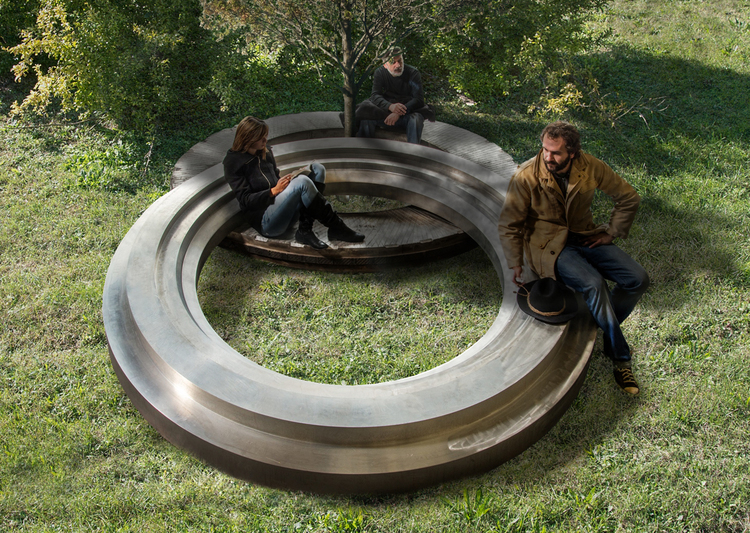 The idea is suggested the presence of two large industrial artifacts with the shape of rings each with a diameter of about 3 meters, realized from a single aluminum cast. These enormous objects, now abandoned, are a glamorous witness of work, labour, technical ability. The project reflects on the possibility to reuse what has been refused by economy and industry, imagining a resting place for these giant casts and finding them a new functional and symbolic value. 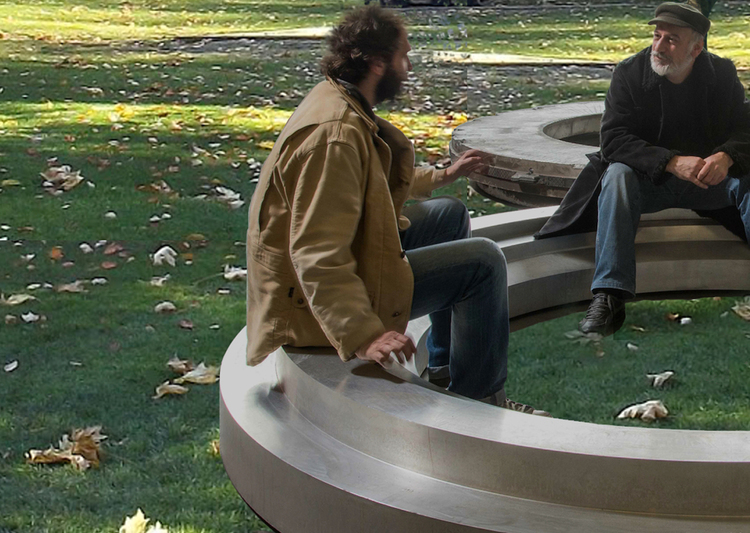 Laying one ring on top of the other with the one above tilted… the area where the two pieces overlay turns, without further interventions, in a perfect spot to sit down and relax your shoulders. In the center of one or both the rings, a young tree will be planted, chosen among species that in a century or more, could reach a diameter of minimum 3 mt., so that in a very long time the tree will encapsulate the aluminum ring and the work of man will return to nature. Like Khronos, the greek god of time who ate his own sons, symbol of the past eating the future, nature will retrieve what man has created, in a time that no man currently living could witness. A small mechanical metal hammer, controlled by a timer, hitting gently the aluminum surface will sign the hours of the day, with the passing of time and the growth of the tree also the hammer will be encapsulated and reduced to silence by nature, you also could no longer seat on the rings and the whole sculpture will turn into the memory of something started by someone who could not see the end.